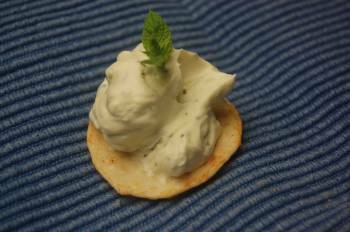 Combine 250gms of Light Cream Cheese with 250gms Ricotta. Add half a small onion, grated, and 2 cloves of garlic, crushed. Finally, add two finely chopped sprigs fresh Dill, and a little salt and pepper and beat well. Serve on crackers, spread on toast or with fresh carrot sticks. That reminds me that I need to make some Ricotta Cheese, Mimi. I also need to find my Dill seeds and plant them. Thanks for the reminder. I love the sound of this dip. This looks like a fabulous recipe Mimi! Thanks so much for sharing. Sounds absolutely delicious, my friend. Thanks for sharing with Roses of Inspiration. Hugs to you!